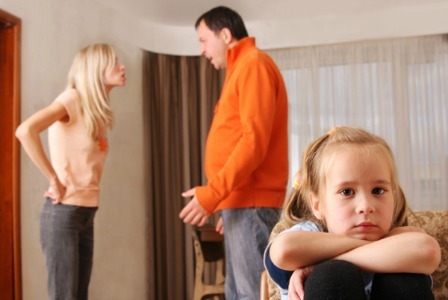 One of the hardest things that divorced couples deal with is helping their children cope with the situation. If you are in the midst of a divorce battle, you can make it a lot easier for you and the kids to talk about the uncomfortable issues surrounding it. You can do that by making the necessary preparations before sitting down with your children to talk about what you and them are about to go through. However, it could be hard to anticipate difficult questions. But you can think about the current situation and carefully plan what you say to them. This way, you will be able to break the news to them in a more manageable way. Disclose the truth. Your children have the right to know the reason behind the divorce. However, the profound reasons will only leave them with more questions. Tell them something that is honest and easy for them to understand such as “We always end up hurting each other’s feelings.” However, you must remind them that nothing will ever cut their relationship with you as their parents. Make them feel that you love them. Simply saying “I love you” will give them a sense of assurance that you’re always there for them no matter the situation. Assure them that you will still be with them when they need you, and things will still be as they were. You will still pick them up from school, help them with their homework and even tuck them to bed at night. Let them know how things will change. Although some things will remain the same, it’s a fact that some things will be different. Let them know and feel that you will be with them as things gradually change. Try to avoid the blame game. Being honest with your children is crucial in helping them make sense of what is unfolding. But be careful about putting your ex-spouse into the spotlight. Use diplomacy when explaining how things got hurtful for both you and your expose. To know more about divorce, family protection, and etc., click here to view our graphical information about family law. For further information on helping your kids cope with divorce, get in touch with a family psychologist. You can also contact CM Lawyers for referrals. Call 02 9568 6266 today.